a forfeiture attorney can help you get it back. Administrative seizure and civil forfeiture proceedings are quasi-criminal processes by which the government takes control of property claiming that it is in some way connected with illegal activity and therefore subject to confiscation. Hiring an experienced forfeiture attorney is the best way to get your property back. While administrative seizure and civil forfeiture are technically not criminal actions, they are intimately connected to criminal actions and often precede or accompany them. The government’s burden of proof in a forfeiture proceeding is much lower than in a criminal proceeding. Moreover, the burden of proof may even be shifted to the claimant, who must then prove he has a legitimate claim to the property. Because the government’s burden of proof is much lower than in a criminal proceeding, courts may hold that property is forfeited by illegal activity even when the government cannot raise enough evidence to obtain a criminal conviction. This practice is understandably controversial because it arguably amounts to a criminal punishment without the protections of a trial. Moreover, many argue that local governments and law enforcement profit handsomely from civil forfeitures and thus have an incentive to make unwarranted seizures. Nevertheless, our courts and elected officials permit these practices and have even expanded their reach. Seizures and forfeitures are especially common in connection with federal investigations into money laundering and organized crime, especially racketeering and drug conspiracies. Many of the relevant criminal laws—especially racketeering—contain their own criminal forfeiture provisions, those laws only come into effect following a criminal conviction. While criminal forfeitures may have much broader scope and potentially reach more property, they place a higher burden of proof on the government than civil forfeiture. Under the Money Laundering Act of 1986, it is unlawful to engage in financial transactions using funds derived from “specified unlawful activities” with the intent to conceal the origins of the funds or to avoid federal or state currency transaction reporting requirements. “Specific unlawful activities” includes a wide array of crimes, from drug manufacturing and distribution to violent crimes and fraud. Currency transaction reporting laws require that financial institutions file reports with the federal government when individuals make financial transactions in cash or other currency worth over $10,000. The Act also prohibits transporting more than $10,000 out of the U.S. with the intent to evade the law or to transport currency knowing that it is the proceeds of a crime. When the federal government believes that funds or property falls into those prohibited categories, federal authorities are authorized under various laws to seize the funds or property and obtain a civil forfeiture, whether or not a crime is actually proven, or even charged. They may also seize property and funds they believe are derived from or traceable to criminal activity, even when the funds or property are currently in the possession of an uninvolved third party. While a warrant is typically required for seizures of land and real property, currency and personal property that can be easily destroyed or moved may often be seized by federal officers without even going to a magistrate judge to show probable cause for a warrant. After seizing property, federal authorities are required to provide written notice to the owner within 60 days. At any time, the property owner or other authorized party wishing to challenge the seizure may file a claim with the seizing agency identifying the property and stating his interest in the property. After that claim is filed, the government has 90 days to initiate a civil forfeiture proceeding in a federal District Court or release the property. In a civil forfeiture trial, the government will have the burden of proof to show by a preponderance of the evidence that the property is legitimately subject to forfeiture (i.e., derived from an illegal source or involved in an unlawful transaction). Numerous defenses exist to civil forfeiture actions, the most basic of which is to challenge the government’s factual claims. If the government cannot show by a preponderance of the evidence that the currency or property was involved in a specified unlawful activity or that the property own intentionally attempted to launder the money or avoid transaction reporting requirements, then its forfeiture claim will fail. Thus, for example, a person who made numerous $9,000 cash bank deposits but did not intend to evade the federal reporting requirements will have a complete defense to the government’s forfeiture claim. Innocent owners also have an affirmative defense to a forfeiture action and may regain their property even though it was involved in a specified unlawful activity. However, because it is an affirmative defense, the owner is required to prove that he did not know about the illegal conduct. Finally, the Eighth Amendment to the U.S. Constitution, which prohibits excessive fines, may come into play where the forfeiture sought by the government is “grossly disproportionate” to the unlawful activity alleged. One of the most significant consequences of civil forfeiture is that it gives the government the power to confiscate virtually all a person’s assets, thereby depriving him of the ability to hire an attorney if criminal charges are later brought against him. Moreover, to challenge the forfeiture, a claimant must show evidence that the property is not subject to forfeiture. Where criminal charges may be brought, going on the record with the government is usually the last thing any person should do. Therefore, a difficult choice often arises: either fight the forfeiture with the risk of handicapping a later criminal defense, or exercise the right to remain silent while allowing the government to seize property unchallenged. Somewhat similar to civil forfeitures, administrative seizures are authorized under dozens of federal statutes and are typically performed by U.S. Customs and Border Protection at points of entry into the U.S. or by other federal agencies during the course of criminal investigations. Customs is authorized to seize any property it has probable cause to believe is contraband (e.g., illegal drugs or weapons), subject to a restriction (e.g., counterfeit goods, absinthe, cat and dog fur), or is not in compliance with federal regulations (e.g., biological materials or weapons without the required permits or licenses). Federal agencies such as the IRS, DEA, FBI, and others may also confiscate property when they believe the property to be either the proceeds or the instrumentalities of a crime (e.g., a car or home allegedly used in a drug operation). A forfeiture attorney with extensive experience in federal court knows the best way to navigate this complex process. There are numerous differences between the laws governing seizures by Customs and those by other federal agencies. There are administrative review processes that can be used by which a claimant can petition federal agencies directly for return of the property. Alternatively, a claimant may sue an agency in federal court. Generally, the law offers claimants fewer protections when Customs has seized their property. Delays in receiving a forfeiture notice may be substantially longer and various other rules allow Customs greater flexibility while imposing more stringent requirements on claimants. States also have numerous laws concerning forfeiture of assets, which usually operate similarly to federal forfeiture laws, although the notice and other procedural requirements may differ substantially. After seizing property, state authorities may under some circumstances transfer the property to federal officials, and any future forfeiture actions will then be in federal court. Factual and constitutional defenses apply in both state and federal courts, but because the “innocent owner” defense is not required by the Constitution, the defense will only be available if state law provide for it. Forfeiture law—both state and federal—is extremely complex and unfamiliar even to many seasoned lawyers. The forfeiture itself may rob an individual of his home, his cash or bank accounts, and literally everything he owns. 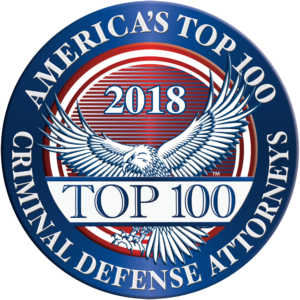 Where criminal charges may be brought, a forfeiture challenge must be handled especially carefully to avoid unnecessarily damaging a future defense. Because of this, it is essential to have an experienced forfeiture attorney respond immediately to a forfeiture notice, both to seek the return of the property and to guard against future forfeiture issues. The information provided above is a very general summary of federal forfeiture and seizure laws at the time this text was prepared. Because this analysis is subject to change depending upon recent cases and legal developments, you should not rely on this summary as legal advice. As with any important legal question, you should always consult a lawyer licensed to practice in your jurisdiction. Our lawyers are licensed to practice in all federal and state courts in Georgia and have been admitted to several other federal district courts across the country.